As a non-profit organization, Hilltop relies on the generosity of our community to be able to offer an exceptional experience to each child, to continue our educators’ professional development and growth, and to provide scholarship money to families who otherwise couldn’t attend Hilltop. We have goals of 100s: 100% participation, $100,000 raised, and 100 donations from family and friends. As a result, we help Hilltop continue to thrive and grow! When we made the switch from commodity-based fundraising through an auction to true philanthropy it transformed our community! We had many conversations with each other, thought deeply about why we are a part of this community, and were able to make positive change in the school. What can you do to support Hilltop during Fish Wish? Give We have a goal of 100% participation! It’s a strong statement of community and support for every one of us to participate, whether your gift is $5 or $10,000. Share Invite your friends and family to support the experience that their dear grandchild, niece, nephew, or friend is having here at Hilltop. Talk One of the best parts of Fish Wish is having conversations with each other. 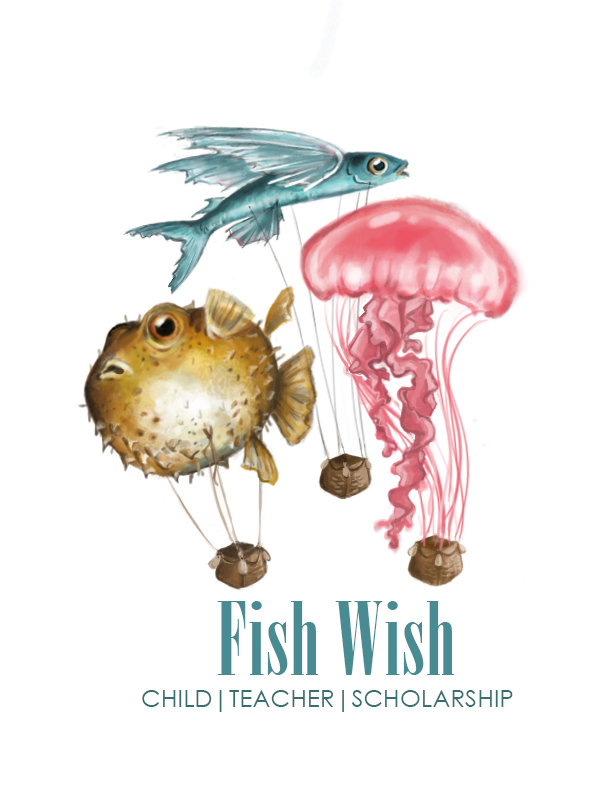 Ask each other about Fish Wish, share your experience of Hilltop, and tell us about your child(ren). Volunteer Fish Wish would not be possible without volunteers. Whether you like to plan events, stuff envelopes, or talk to people, we need your help. Match Through a matching gift, donors can instantly double or even triple their contribution. Contact your HR department or corporate foundation to see if your company has a donation matching policy, fill out the required paperwork, and let the Finance Department know so we can complete any necessary follow-up. Enjoy While the funds raised are crucial to the health of Hilltop, coming together as a community is at the heart of Fish Wish! Have fun talking to your fellow Hilltop families and sharing the excitement with your children, friends, and family!